I love making my own mailers! It adds a personal and stylish touch to all my orders and it's helped me stand out in the marketplace. 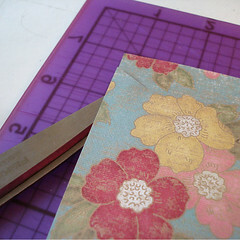 A few months ago, I decided to open a second shop for my mailers and since then I've done several large custom orders. What have I learned from the experience? Making and selling mailers just doesn't pay. As much as I love providing my mailers to others and knowing that they are out there and being recycled, the business has proven to be far too time consuming and barely profitable. So, after much consideration I've decided that it was time to share my secret mailer recipe with the world! The secret is out and from now on, it's mailers for all! 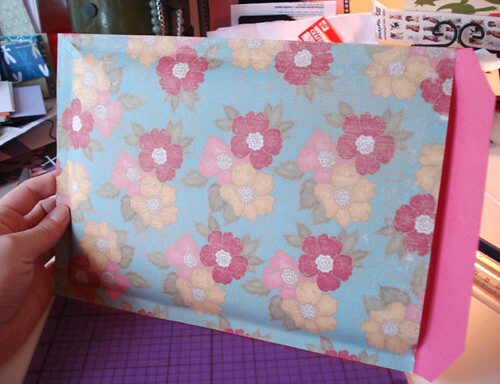 I make mailers in 2 sizes, 6" x 9" and 4" x 6". 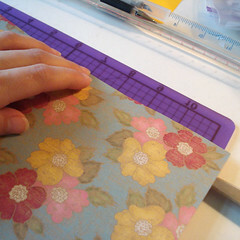 In reality, you can make them any size you like, for the purpose of this tutorial, we'll be making a 6" x 9" mailer. 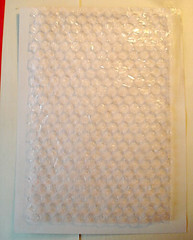 The bubble wrap should be trimmed to the inside dimension of your mailer, in this case 6" x 9". 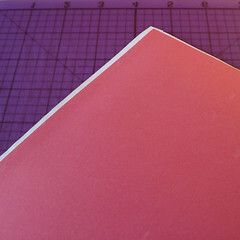 The card stock will be cut to finished size of your mailer, including a 1" flap, in this case 7.5" x 10.75". 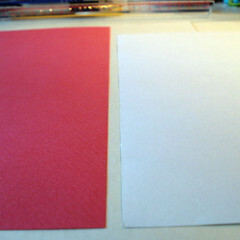 Your paper should be cut slightly larger than the finished mailer on the 3 sides that will be adhered to the card stock. 4. 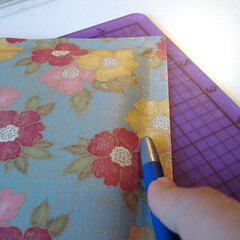 Apply a 2" border around all 4 edges of your patterned paper, starting at the bottom, then the sides, saving the top edge for last. 6. 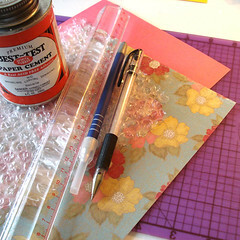 Using your patterned paper as a guide, apply a 2" border of rubber cement along the bottom edge and sides of your card stock. 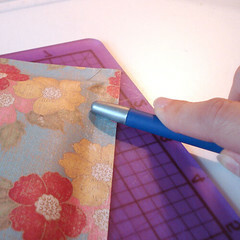 You don't want to apply any glue in the area that will later be used as your flap. 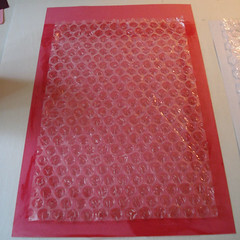 Apply a line of rubber cement across the top edge of your GLUED AREA and place the 2nd sheet of bubble wrap flush with this line. 1. 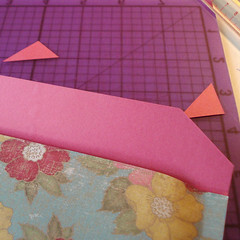 Begin by making 2 small angled cuts on the bottom edge of the patterned paper. 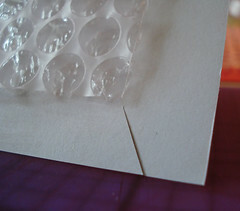 Cut from 1/4" from the corner of the paper over the the corner of the bubble wrap, stopping slightly shy of the bubble. Repeat on the opposite corner. 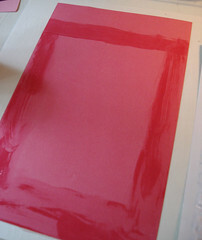 This will prevent the paper from buckling along the bottom edge. 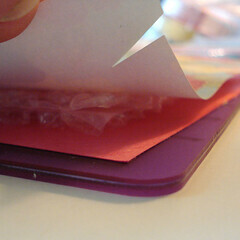 Be sure that you don't accidentally press down the corners of the bottom flap. You can use your scissors as a temporary barrier until you get the hang of it. 2. 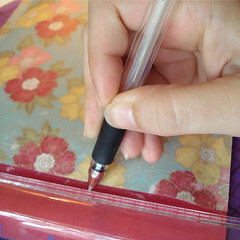 Use a ruler and a scoring tool (or inkless pen) to score a line along the flap about 1/8" away from the opening of the mailer. This will make a nice clean fold. 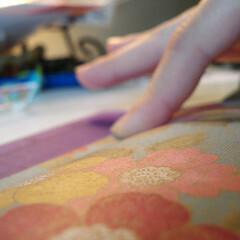 Feel to post pictures of mailers you have created or received in my Secret Mailers Flickr Group! Of course, it is my pleasure to share the mysterious process involved in making my top secret mailers. In return, I ask that you do not reproduce my mailers for resale and that you enjoy using them for your business or personal mailing. Should you decide that my mailers are beyond the scope of your abilities but you'd still like to have some, they are available in small sets on Etsy. Happy crafting!